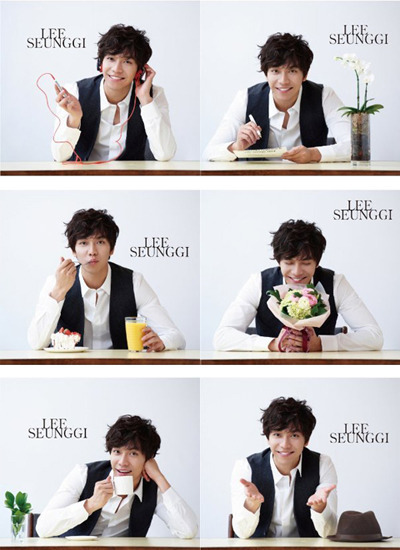 South Korean artist Lee Seung Gi released in Japan on the March 7th, 2012 his debut single, “Love Generation” (also translated as Alone in Love or Love Time), and has set the sales record of 18,642 copies on the launch day itself, topping the Oricon daily sales chart. A representative of the management agency of Lee Seung Gi said that because Lee Seung Gi is busy with activities within the Korea, other than debut showcase in Japan, he didn’t have other promotional activities. Even so, he still managed to win the champion position for the Oricon daily chart, proving the high popularity of Lee Seung Gi in Japan. Lee Seung Gi is currently busy filming the new drama The King 2Hearts in South Korea, and he will visit Japan for more activities after the activities in Korea come to an end.